OMG, Becky, look at her blog..: Sunday Funday for sure! 2 postings in one day! Holy cannoli! 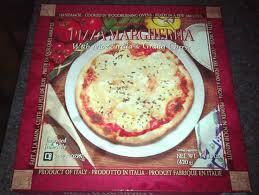 1- A big bowl of this! Man, I wish the box still looked this awesome. 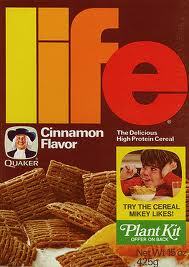 I've never actually had any Life that was not cinnamon. I hear the original isn't really very sweet. Sooooo, what's the point of that? Sometimes I hate the city. But on days like today, it redeems itself. This stuff is like crack. CRACK. 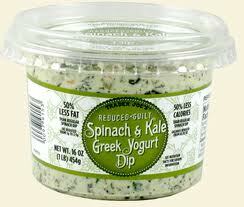 Enjoy it with multigrain pita chips, or broccoli florets, or snap peas. Oh yum. 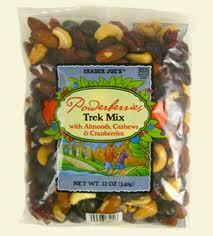 I'm not sure what my favorite part of this trek mix is. ...Powerberries. It's the powerberries. Don't know what a powerberry is? Get yo'self to a TJ's stat! You can find them in the mix, or, if you know the right place to look, you can get a bag of just the straight berries. Dangerous! 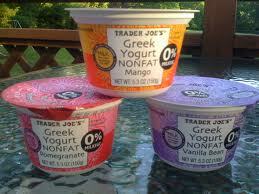 I also have a pretty significant addiction to their Greek yogurt. And at about $1 a carton, you can't go wrong! And this beauty. This beauty was in my fridge. Now it's on its way to my hips and thighs. 4- I did all my laundry! I won't take a picture of it, because it's not folded. But even though it's not folded (and let's face it....it's probably not going to get folded for another 2 days....I've had a busy Sunday! ), it's still clean and that's all that matters in the end. 5- Donnie took the dogs for a stroll with me this evening. This is always quite an undertaking because Lady is ridiculous on a leash, and Max feels the need to pee on every other bush, tree, and hydrant we pass. But today Lady didn't go too nuts until the end...or anytime we passed a feral cat (she shows no interest in Dinah, but when we're out in public she acts like she's bred to kill). Max did throw me off at some point when he lifted his non-usual leg (read: I was in the line of fire. Good thing I was on my a-game...and there were no cars coming as I lept out into the street), but other than that, the four of us remained pretty well behaved. 6- My lesson plans are finished, as well as my manicure. Bring it on, Monday. What a stellar Sunday! I wish we lived closer so we could enjoy them together! !